From flash-fried steaks to slow-cooked pulled pork and everything in-between, this is a comprehensive guide to beef, lamb and pork, as well as chicken, turkey, game birds and venison. Miranda Ballard, of the Modern Meat Shop in London, UK, provides the ultimate guide to cooking meat at home. She recommends the cuts of meat to choose for different types of dish, as well as what questions to ask your butcher. There is advice on buying according to the season and informative charts of all the cuts. With the increased popularity of high-welfare meat, there is a wealth of information about sourcing meat that is farmed responsibly. Learn the basics behind animal-husbandry and you will feel well-equipped knowing what to ask your butcher when buying meat. There are more than 90 recipes for classic dishes and innovative ideas, ranging from quick and easy lunches to impressive evening meals. Cook The Perfect Steak for a quick midweek meal, put together a hearty Coq au Vin when you have more time at the weekend, or opt for a Slow-cooked Lamb Shoulder when you have the family round for Sunday lunch. There are also wonderful suggestions for using up leftovers and preparing the perfect accompaniments, from Yorkshire Puddings and Gravy to Frites and Slaw. 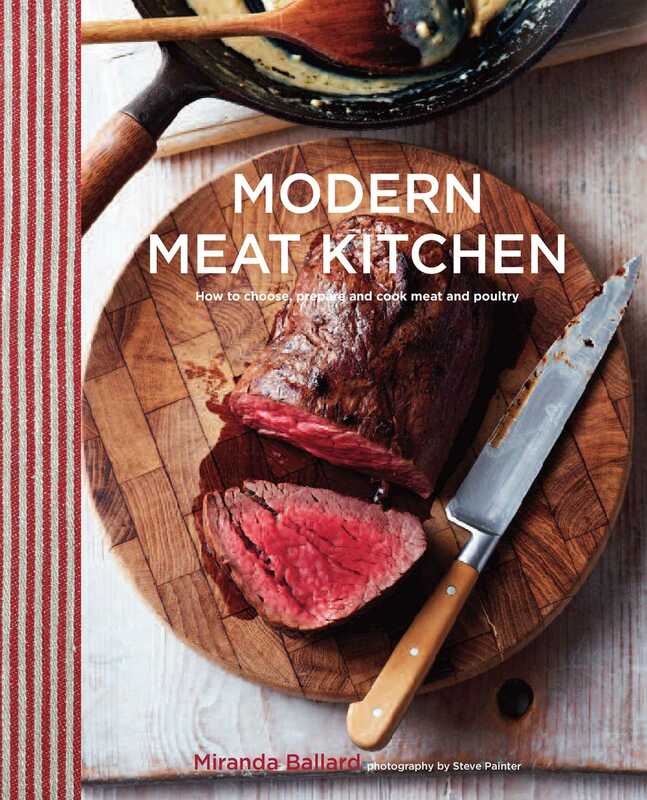 Whether you want to get the best out of an inexpensive cut, use up some leftovers or find accurate cooking times for your Sunday roast, this is an invaluable resource for today’s modern meat-eaters and a celebration of preparing and cooking meals at home. Miranda and her husband Roland left behind their media careers to start their own food company, Muddy Boots, in 2008. Their gourmet meat products are now available throughout the UK. They have now opened their first store, The Modern Meat Shop, in London, where they sell premium meat and charcuterie in a modern, friendly and welcoming environment.